We're suckers for a gorgeous home with a bit of star factor, but one that was (reportedly) the rendezvous hideaway of Marilyn Monroe and President John F. Kennedy? This one we gotta see! 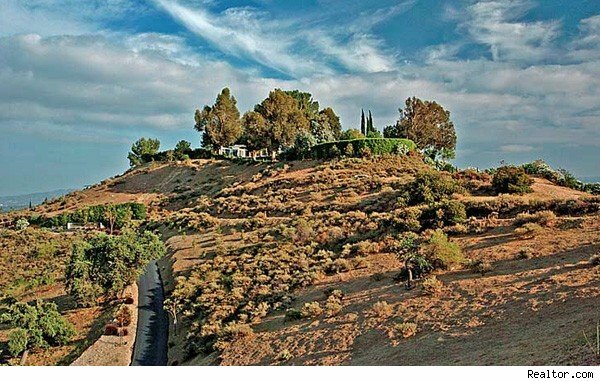 Forty miles outside of Los Angeles and abutting a stunning nature preserve sits the Farralone Estate, with a glass house that was purportedly the place where Miss Monroe and JFK would tryst. Though Monroe didn't actually own the property, it was a home of her friend, Frank Sinatra, who would throw huge Hollywood-style parties at which Monroe was frequently a guest. Our friends at Curbed and Zillow have reported that Monroe would apparently entertain a "frequent presidential visitor" at the Farralone Estate's cozy guesthouse. Whether the whispers are true or not, the home itself is pretty star-worthy by its own merits. The estate spans 13.5 acres and the stunning, glass-walled main home is an incredible 10,000 square feet. Apparently, the designers built "50 percent of the home out of glass" that has withstood the test of time. The home's guesthouse, where Monroe allegedly stayed, is a modest 1,000 square feet, and though it only has one bedroom and 1½ bathrooms, it boasts its own pool. The rest of the sprawling property features a vineyard and equestrian trails. So how much is a home that's supposedly fit for a president (on occasion)? Farralone Estate will run you a cool $12 million.